Symbols of luck and success are hidden like the morals in great stories. 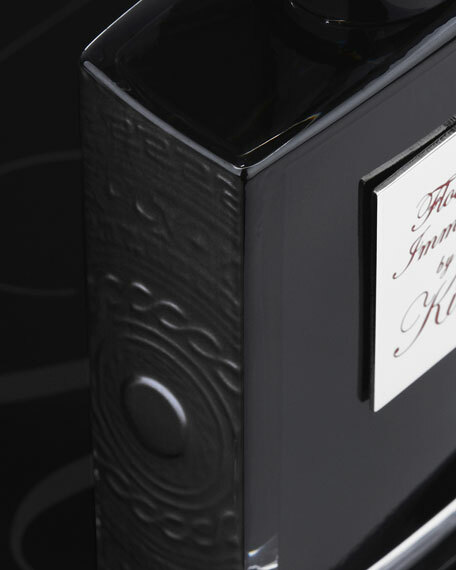 The 50 mL flacon is engraved and filled with red enamel and lies on a bed of Opera Red satin. The coffret, coated with layers of black lacquer for a mirror-like shine, is detailed with a red tassel and a silver coin, as a symbol of luck for the key holder. 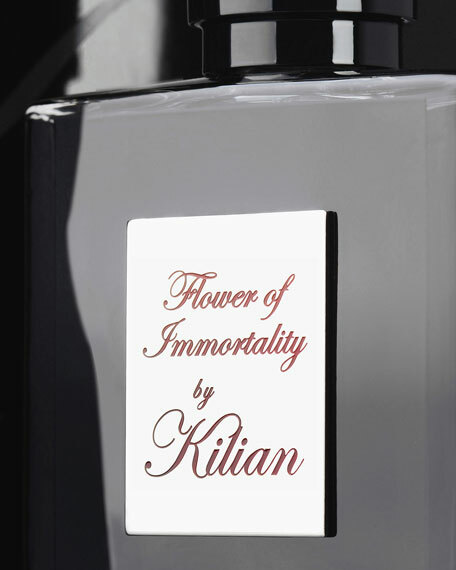 True luxury should last a lifetime, and as such, all by Kilian fragrance flacons are designed to be refilled and all boxes are made to be reused. For in-store inquiries, use sku #278843.